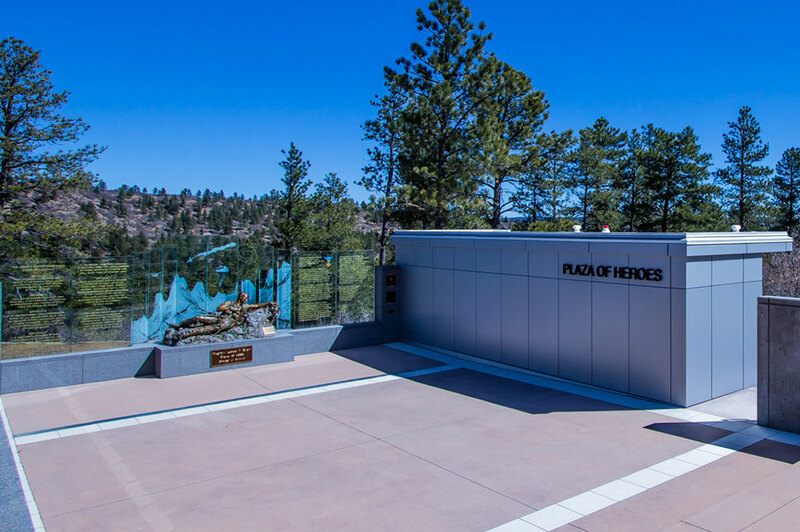 In October 2015, the United States Air Force Academy dedicated a memorial to honor the sacrifice and courage of their fallen alumni from the Vietnam War. An outhouse or porta-potty was unthinkable in such a sacred place. 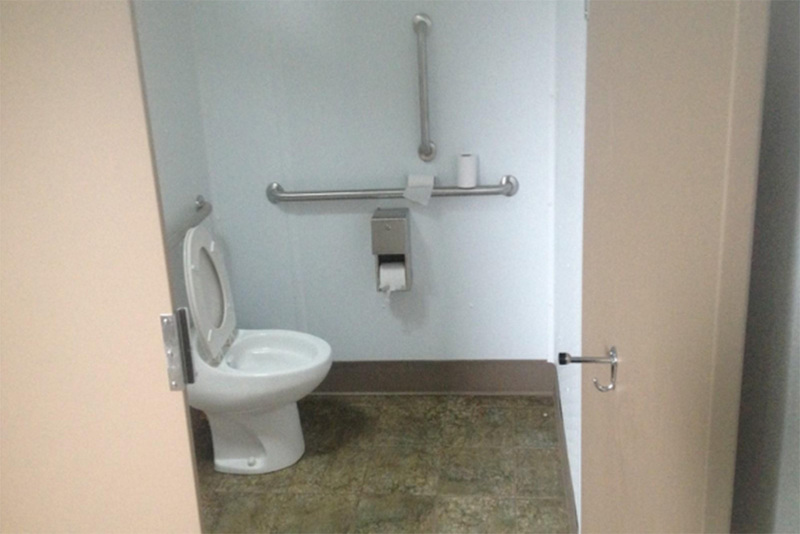 However, connecting a flush restroom to the closest sewer was beyond the budget of the project. 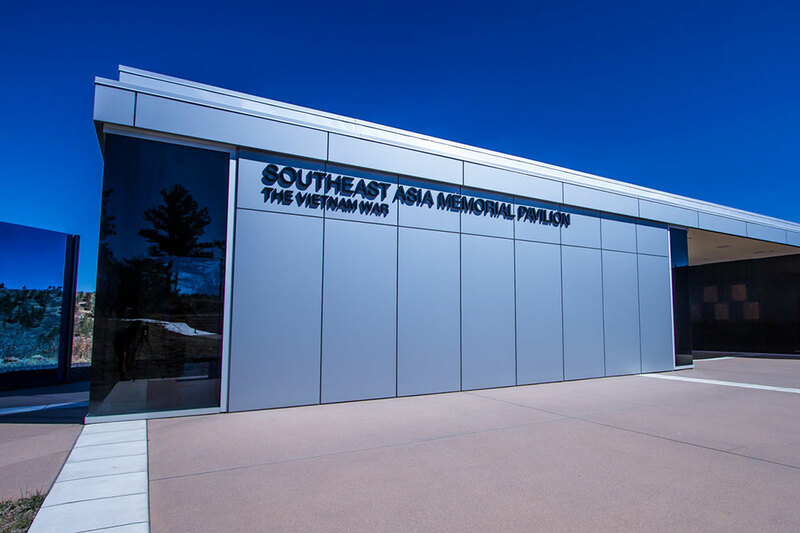 Jason Wulf, project manager for the memorial, decided Green Flush was the solution. 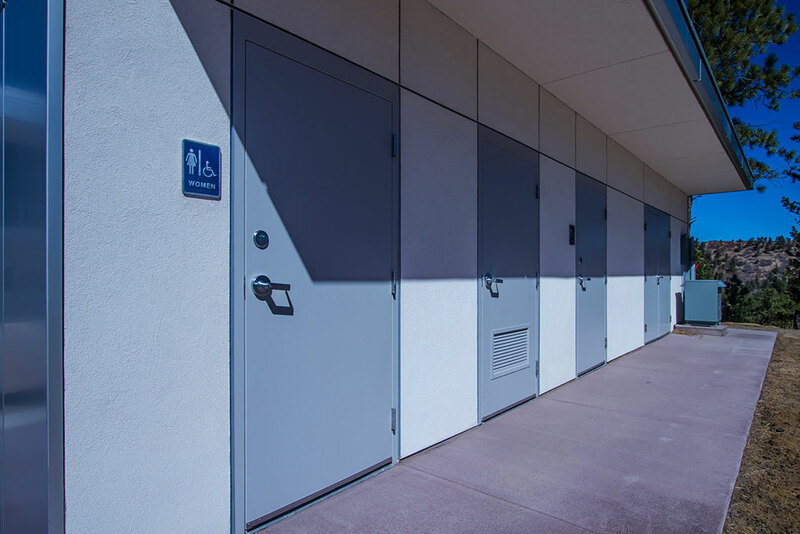 Besides a Men’s and a Women’s single washroom and a mechanical room, the building needed to include space for storing the chairs needed for special events. The cantilever roof and custom siding were added on site by Jason’s team. This was accomplished within the amount budgeted for the restroom. 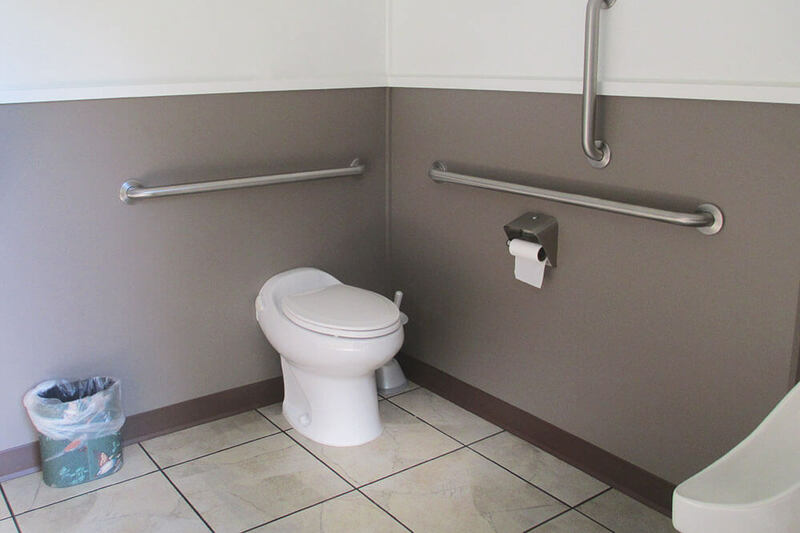 Amenities include flush toilets, hand wash sinks, a waterless urinal, lights, heat, hot water, a full tank alarm system, electric hand dryers, ceramic tiled walls and floors. The self-contained sewage vault under the floor has a capacity of over 1,900 gallons (more than 6,000 uses). Irrigation water is used for toilet flushing. "It was a pleasure working with the Green Flush team on this project. We provided the project vision and they designed and delivered a great product. The unique facility was top quality and exceeded both ours and the owner’s expectations. This was a once-in-a-lifetime project and we were glad to have Green Flush on board!" *Hover over the box above to read more about the case study. Mohican and Conkles Hollow are two gems in the Ohio State Parks system. These parks have outstanding natural features, making them popular locations for a variety of recreational activities. Prior to our work at the park, the only sanitary facilities provided were a rundown vault toilet at Mohican and plastic portable toilets at Conkles Hollow. This was unacceptable to both the visitors and the parks. 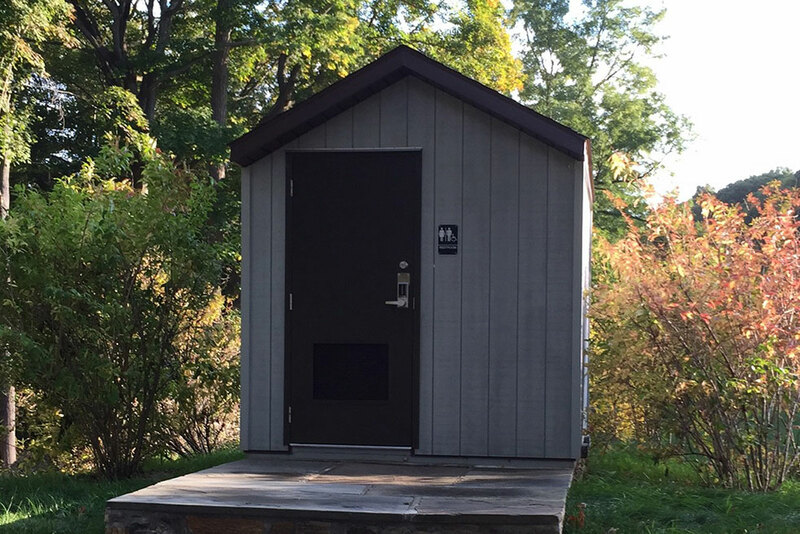 Ohio State Parks always felt the setting and popularity of these locations merited high capacity flush restrooms but both sites were without power, water, or septic utilities. 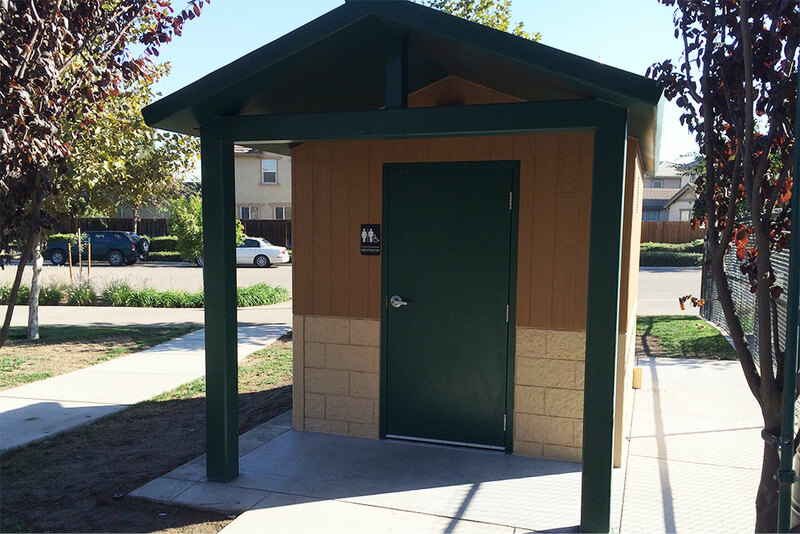 Green Flush installed multi-stall flush restrooms at both locations. Each of these restrooms have three stalls for women and 2 stalls plus a urinal for men. They are equipped with solar power and propane heat for off-season use. Golfers need restrooms on the golf course and we are happy to make that possible. Don’t take our word for it though. Golf Course Industry Magazine wrote this article about how a prestigious private country club finally resolved its long-standing toilet problem, to the delight and satisfaction of members. Lathrop California needed a restroom for their new dog park. However, installing a vault toilet could cause offensive odors to drift over nearby homes. 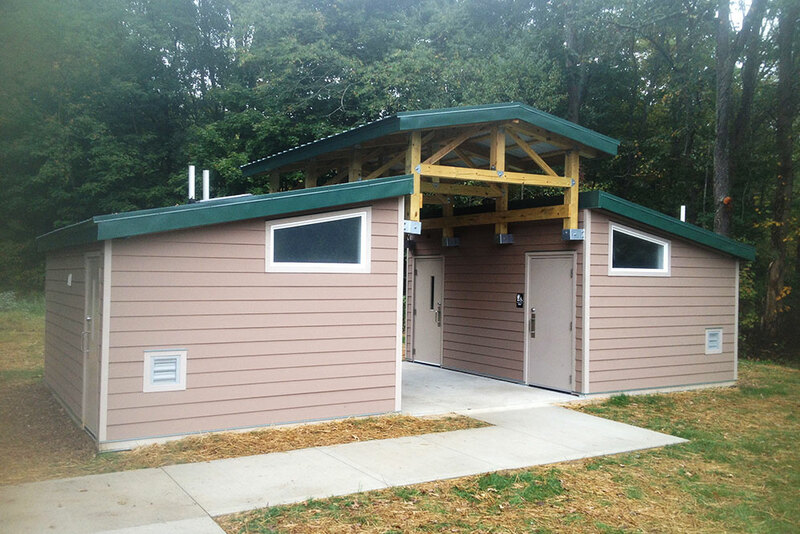 A flush restroom was the appropriate choice, but their budget wasn’t sufficient due to the high cost of running power and sewer services to the restroom site. However, this client could afford a Green Flush single restroom with a covered porch. 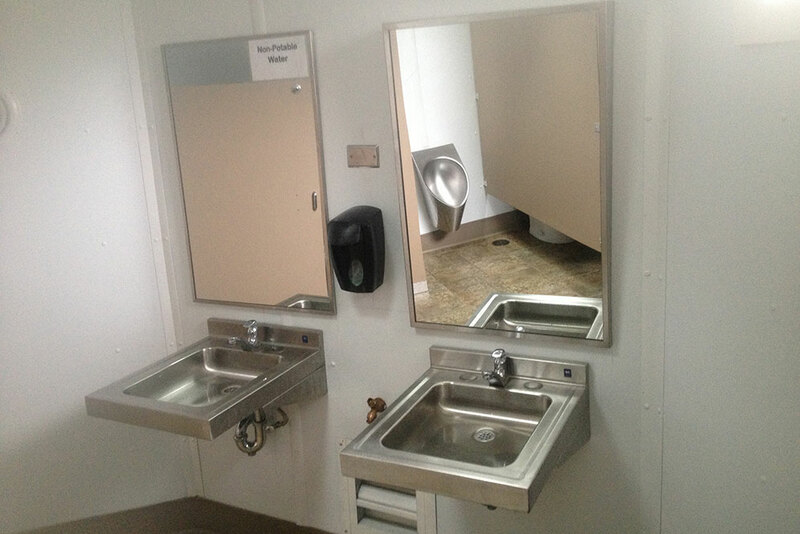 The restroom is connected to site water and equipped with a solar panel, for maximum energy savings. Sewage is stored in the vault under the floor, preventing the emission of unpleasant odors either inside or out. 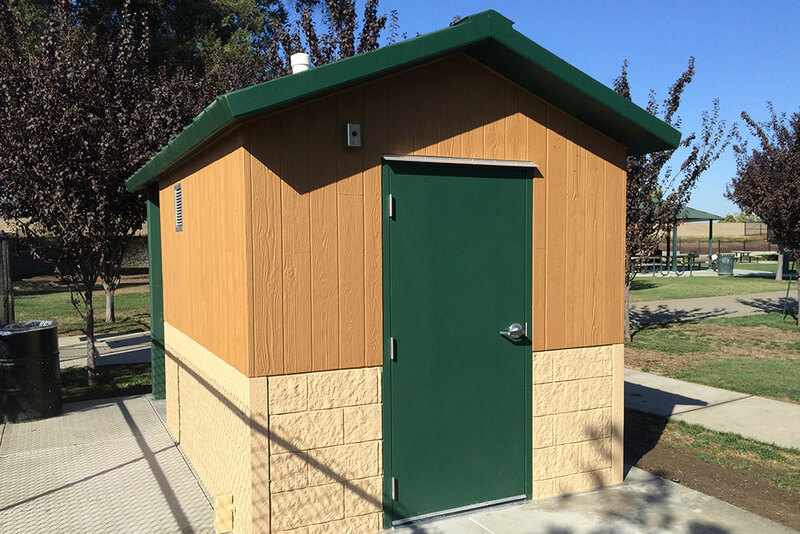 The vault capacity proved to be more than enough as the restroom was used fairly often and pumped out for the first time eight months after installation. A citizen of nearby Berkeley, California, Martin Nicholaus, was so impressed with the restroom that he wrote a blog article and made a Youtube video, both of which he presented to the Berkeley City Council.